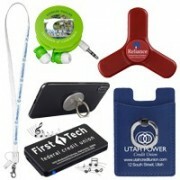 One of the fastest growing segments in Promotional Products is Tech Accessories. These versatile new products interact with gadgets that many of your customers already use in their everyday lives. 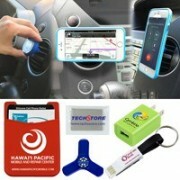 Tech Accessories offer many impressions per day, since we are plugged in all the time. 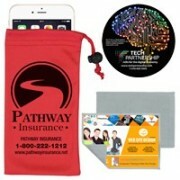 Innovation Line offers high-tech electronic branded products that range from microfiber cleaning cloths to cellphone stands. Whether you chose suede or 100% microfiber, you can rest-assured that your customers will love using these products. These products are great for users of any generation IPhone or Android. Recently, Innovation Line has added a wide range of hot products to this fun category. The best sellers include folding headphones, earbuds and stylus pens. We are always excited to bring you the newest branded products and take great care when adding products to our line. USB products offer great versatility since most new devices are compatible with them. 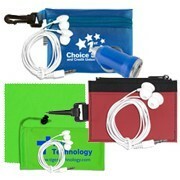 Innovation Line has a large selection of chargers and storage options for the techie in your office. 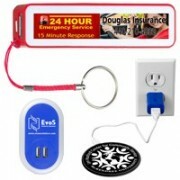 A variety of decoration methods are available for each of our promotional tech toys. We offer spot-color or four-color process printing as well as silk screening depending on the item’s material. For over thirty years, Innovation Line has offered industry leading customer service. 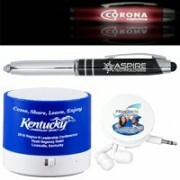 Distributors trust Innovation Line to deliver elegant promo items on time. For orders with longer lead times we offer many overseas production options.